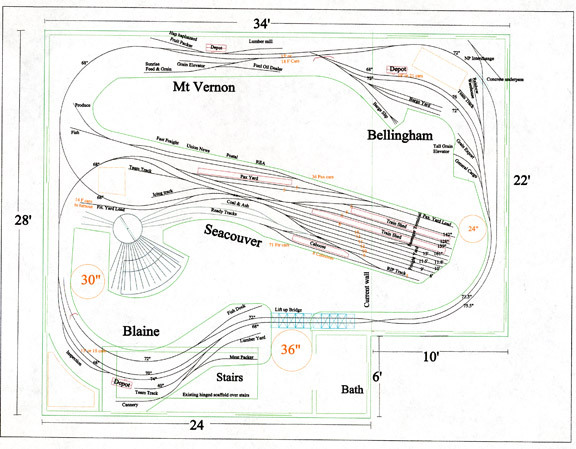 trackplan of the current O scale two rail layout under construction. The room, above the garage, is approxmately 27.5 X 23.5. Not shown are the holding tracks located along the south wall. Both are single ended and each have four tracks. The eastbound is called Puget and the westbound Spokane.